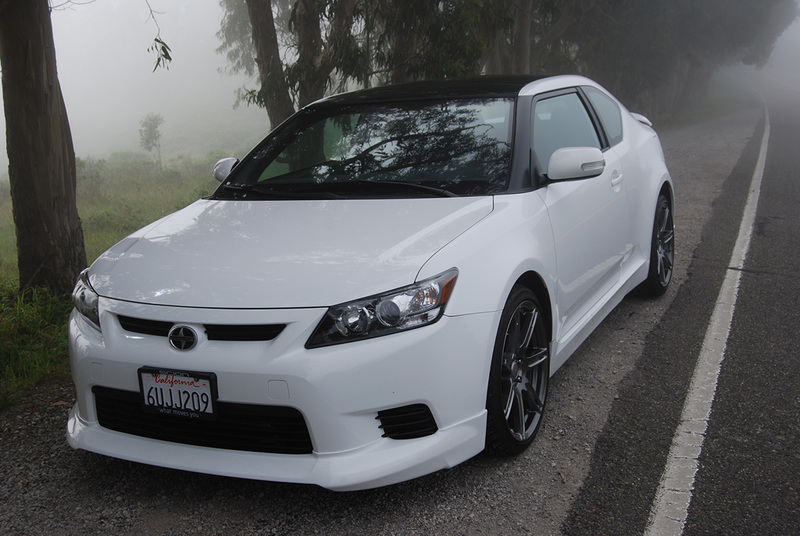 At a base price of just $19,575, the Scion tC puts you in the driver’s seat of a solid, enjoyable product of Toyota engineering. 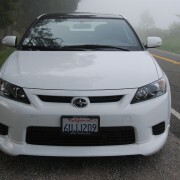 Redesigned with a turret-top and slit headlights for 2011, the striking tC remains unchanged for 2012. Its specification list surprises you with unexpected extras. Under the stubby hood lies a 2.5 liter, in-line 4, decked out with variable valve timing (VVT-i), twin overhead camshafts (DOHC) and 16 valves, all of which conspire to produce a hefty 180hp. 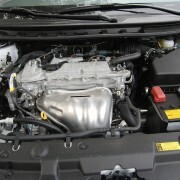 Now that almost every engine compartment is hidden from view by plastic modesty shielding, it’s a pleasure to be able to examine the workings of this Scion’s lively four binger without having to remove an obstructive cover plate. Unanticipated extras keep on coming once you slip inside the low-roofed cabin. The driver’s seat feels like it belongs in a much more expensive vehicle, with its nubby fabric gripping your torso, and its high side bolsters clamping you like a vice. 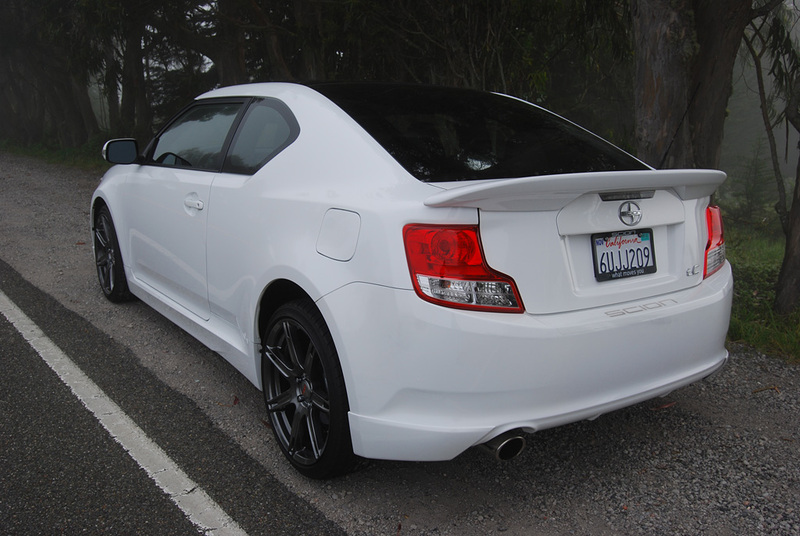 Given the fact that our test tC was optionally equipped ($2,199) with 19 inch anthracite TRD alloy wheels and high g-force generating Toyo Proxes S4 tires (235/35ZR19), the cosseting seats were more than a match for the exceptional side loads posted by this Scion. 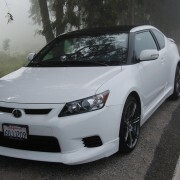 Another unexpected benefit of the tC’s redesign is the standard double sunroof that brightens the interior. 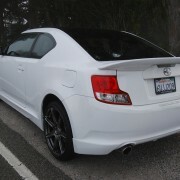 This solarium effect more than compensates for the short side windows that give the new tC its tank-like profile. Once you’re settled inside, you almost feel like you’re driving a convertible. 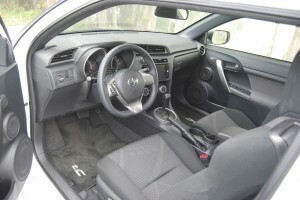 The separate rear sunroof makes even the rear seat seem like a hospitable place, though access to it is inhibited by the car’s short wheelbase and bulky front seat backs. 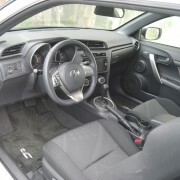 If you really want to have fun driving your spunky tC, be sure and order the 6-speed manual transmission. Even though a 6-speed automatic is available at no extra cost, the manual gearbox is the way to go for sporty driving. That’s because the automatic does not offer steering wheel paddles, necessitating use of the floor-mounted stick instead. 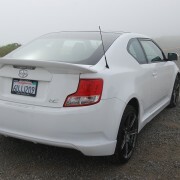 In the “Drive” gate, the automatic gearbox on our test TC settled itself into 5th or 6th gear as quickly as possible, providing little acceleration but lots of exhaust noise, thanks to the droning, optional $699 TRD exhaust. Of course, you can slot the automtic into its manual mode gate and bump the stick fore and aft to control gear changes. But if you’re going to go to that much trouble to micro-manage things, you might as well select the manual 6-speed to begin with. 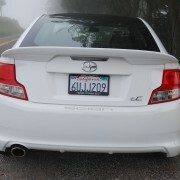 In any event, do not opt for the blatty TRD exhaust because what little it might add in performance is more than outweighed by its obnoxious buzz. The tC will serve you well as a practical everyday sport coupe as long as you option it judiciously. 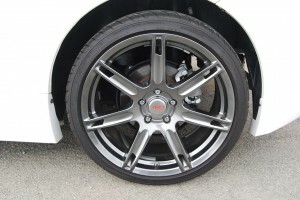 Unless you’re interested in track days or autocrossing, you can eliminate $2,200 from the bottom line by sticking with the stock wheel/tire configuration (Base: 215/50R17; Plus One: 225/45R18) in lieu of the expensive 19 inch TRD upgrade. 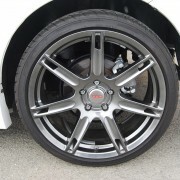 Your tC will also ride more comfortably without those zero compliance Toyo tires loosening your fillings at every pothole. But the $1,999 Navigation System is well worth the extra investment, since it includes enough equipment in addition to the mapping system to make the package worthwhile. It contributes a dash-mounted 7 inch screen which centralizes all operational controls for Navigation, Entertainment, Telephone and Customized Settings in one convenient touch screen location. 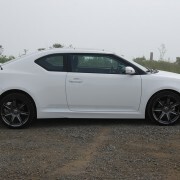 Even with the added convenience of this package, your tC will still roll out the dealership door for less than $22,000.